• First bedroom with one queen bed (linens provided). 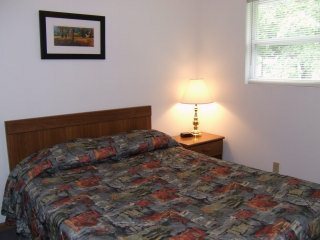 • Second bedroom with one queen bed (linenes provided). 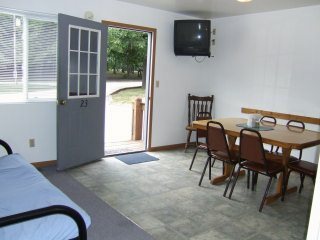 • Double-size futon in kitchen/sitting area (linens provided). 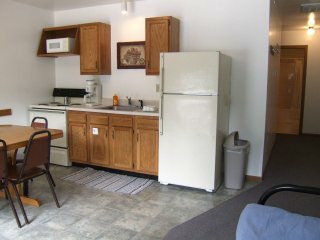 • Table & seating for six, full fridge, oven/stove, microwave, coffee pot, toaster. • Place settings for six, pots, pans, dish soap, kitchen towels. 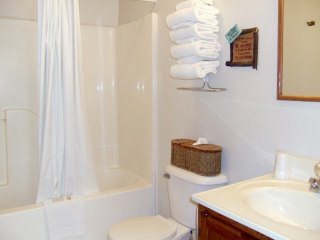 • One bathroom (set of 4 towels provided). • Cable TV - 12 channels. 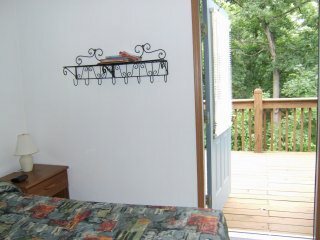 2nd bedroom with door to back deck, overlooking wooded setting. 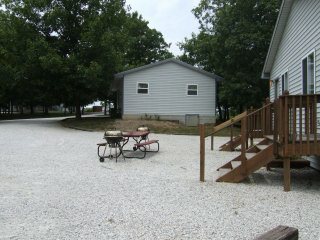 Privacy fence between units. 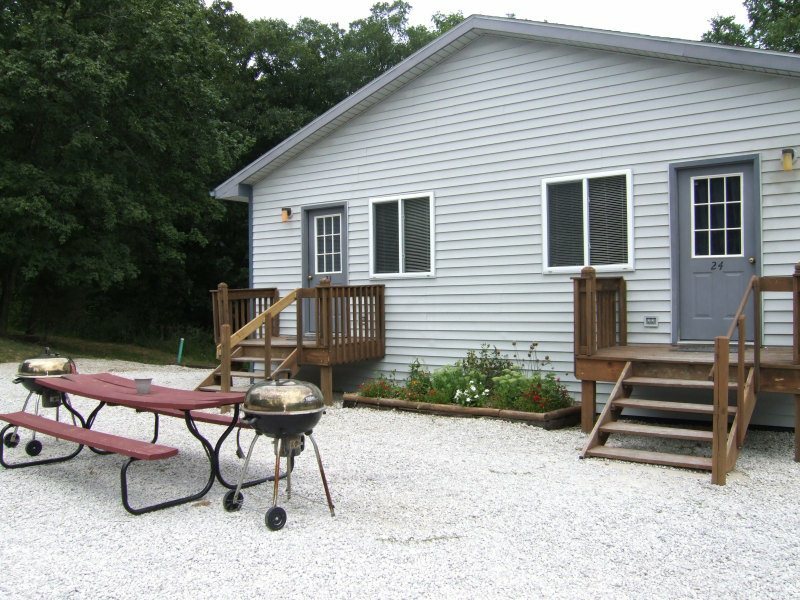 Rates are for double occupancy, $10 for each additional person, 16 yrs and under are free.